Robert Eagle Fine Art’s travelling exhibition When They Were Young continues in the picturesque setting of Cambridgeshire’s Old Fire Engine House in Ely. 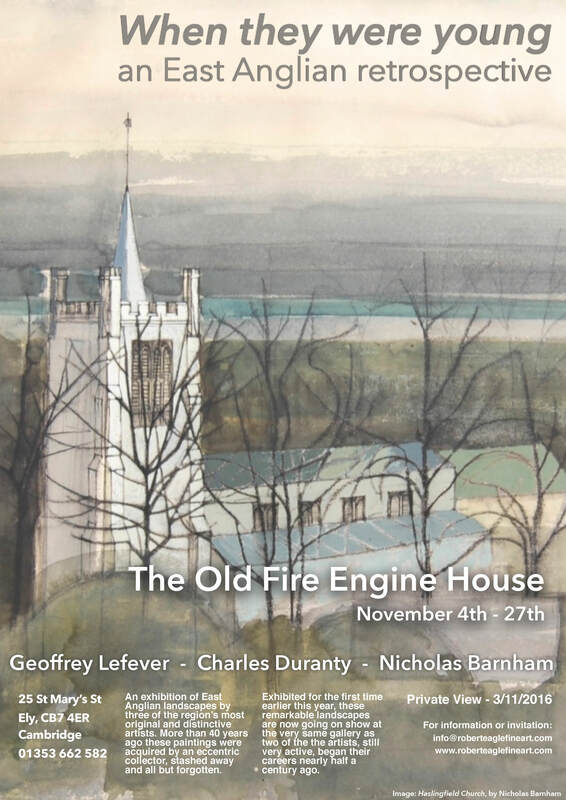 First opening in 1968, one of its earliest art exhibitions showcased both Nicholas Barnham and Geoffrey Lefever at the very beginning of their careers. Lefever even washed dishes for the restaurant in exchange for hot meals, in the spirit of a true impoverished young artist. We are delighted to reunite the artists with their old haunt, which brings the pictures back to a site of relevance after half a century, surrounded by the landscapes that influenced them all those years ago.